Benjamins are pleased to present to market this beautiful three bedroom detached character property in the sought after South Nottingham Village of Keyworth on Debdale Lane with no onward chain. The accommodation briefly comprises; Entrance Hallway, Living Room, Dining Room, Kitchen Diner to Rear, Three Bedrooms, Four Piece Family bathroom, Double Garage to Rear & Off Road Parking. The property benefits from having of no chain, full of character and charm. Within walking distance to the local amenities including, shops, great schools, sports facilities and public transport services. There is also a fully working well with pump in the rear garden. 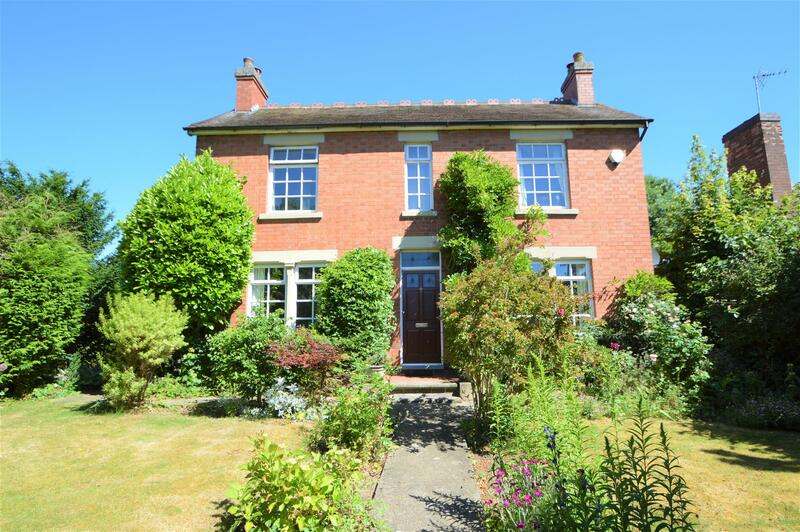 To arrange a viewing please call Benjamin Sales on 0115 9371713. Wooden front door into entrance hall, stairs straight up to first floor landing, door to the right into the living room & door to the left into dining room. Large wooden framed window to the front aspect, ceiling light fitting with ceiling rose, coving to ceiling, radiator with shelf above, TV point, carpet & feature fire place and hearth with wooden surround. Dining room with double aspect wooden framed windows to the front & side aspect, ceiling light fitting, coving to ceiling, radiator, carpet & feature fire place and with wooden surround, door into kitchen diner. The kitchen has a range of wooden wall and base units with worktops over, two stainless steel sinks & mixer taps, space for fridge/freezer, plumbing for washing machine, electric oven & gas hob with extractor fan over, understairs storage cupboard, dining area with fire place & wooden surround with storage cupboards either side of fireplace, radiator with shelf above, windows to the rear & side aspect. Door onto rear garden. Window to the front aspect, radiator, carpet & doors to three bedrooms & family bathroom. Window to the front aspect, built in wardrobes down one side, ceiling light fitting, phone point, radiator & carpet. Window to the front aspect, ceiling light fitting, radiator & carpet. 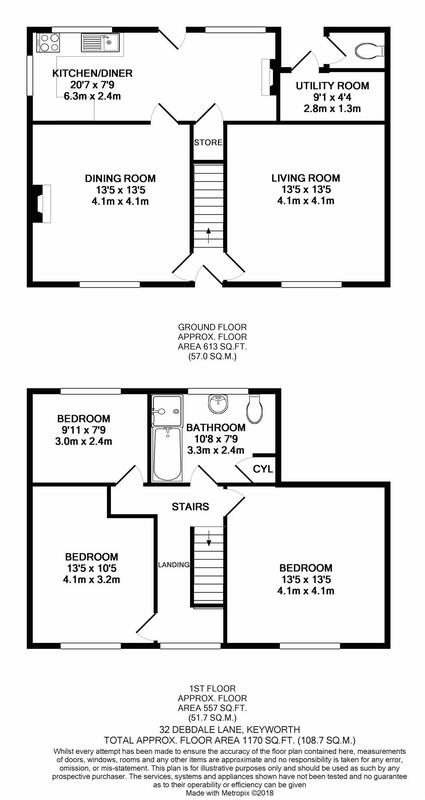 Four piece family bathroom consisting of fully tiled walls, bath with separate shower cubicle, low level WC, wash hand basin with vanity unit below, radiator & access to the loft via hatch. Airing cupboard with shelving and hot water tank. Window to rear aspect. Window to the rear aspect, ceiling light fitting, radiator & carpet. The rear garden is laid to lawn with mature borders, stocked with a variety of trees and shrubs and bordering hedgerow & fences. There is a large paved patio area and side pedestrian access at the side of property. There is a fully working water well with pump in the garden. Door to boiler/utility room & outside WC. To the rear of the garden is access to the double garage with up & over door and gated driveway. Front garden has a variety of shrubs & trees and pathway leading to the front door.